We love to eat different kinds of food. But when we prepare our food, we rely on what the restaurants and food retailers say to us. After all, they are our best source of food so why shouldn’t we believe them? Well, the fact is, sometimes food retailers do not tell us the actual thing. Sometimes, they mislead and sometimes, they actually say the false thing. The Food and Drug Administration regulates most of the retail food stores, but such regulations do not exist when it comes to restaurants. 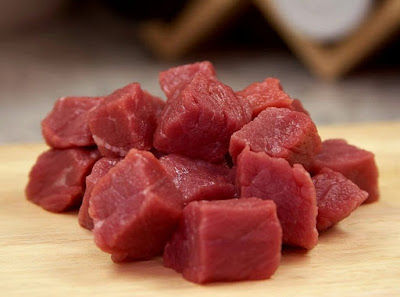 In restaurants, they sell Prime Meat, but are we sure that it is not pieces of meat glued together with the meat-glue transglutaminase? The United States Department of Agriculture has found out that 6 percent of beef is prime beef. Then, there are restaurants which sell the rare Kobe beef at quite a reasonable price. Only a few restaurants present in the US have been certified by authorities to sell Kobe Beef, so be on the lookout if you find a cheap product anywhere. Honey is one of those rare foods which do not expire. But it should be real honey. Real honey is the kind of food that will at least have some amount of pollen in it. But the honey that we find in the grocery stores are generally filtered from such pollen or they have corn syrup added to it. Vaughn Bryant had tested about 60 jars of honey and found out that 76 percent had the pollen taken away when bought from a grocery store. When bought from drug stores, like CVS, the pollen was zero. One of the easy ways to test honey is by seeing how much time it takes for it to drip in a steady stream and then see if it stays at the bottom when in room temperature. Also, on the ingredient list, there should be nothing other than honey. This is not real crab as the name suggests. It’s just a crab that is made out of the paste of other fishes which is then frozen so that it resembles crab flakes. Orange-colored food dye is used to fool you into thinking it is a crab. So, if you go to your sushi place, then check it out well to see that they are not providing you with such a variant of a crab. Parmesan Cheese is one of the variants of cheese which we love for special dishes. But back in 2013, Castle Cheese was fined by the FDA for marketing a cheese as 100% Parmesan but it was not so. The product was actually cheddar, mozzarella, Havarti, and Swiss mixed. The 100% Parmesan is actually made by making use of cellulose, an anti-clumping agent which is derived from wood pulp. According to the FDA, it is okay to consume but deceiving someone is not right. Go for an Italian-made Parmesan instead. Maple syrup has a lot of useful elements in it. They have zinc and manganese which aids in metabolism and blood clotting. But then, that’s the real maple syrup. Many common maple syrups actually contain sodium, corn syrup with high fructose, and have a caramel color. There is a difference in the taste too. So, just be on the lookout as many retailers sell this cheaper variant of maple syrup to earn a profit. We should start becoming more aware of the things we eat. Due to their drive to make profits, companies are trying to do whatever they can to deceive us. It is our responsibility to check what we eat and call on any such deception.